I have a confession... I don't believe I have actually watched a Hitchcock movie all the way through. I've seen clips, sure, and I know all the quotes and trivia because Hitchcock was such a character in his own right. However, being arty, I am fascinated by commercial art. Book covers, album art and, especially, retro film posters are very much on my radar, so it was an obvious thing to look at the iconic artwork of the Hitchcock film posters. The more I looked into it, the more the name Saul Bass came up. And only his name since, as with the covers of ‘pulp fiction’ novels for publishers, stock artists were often used to create the advertising posters for films, without working directly with the film maker. So I got sidetracked... as you do. Saul Bass was an American graphic designer, born in 1920, and already had a great pedigree of design work behind him when he started to work with Hitchcock in 1958, having worked for some of Hollywood's most prominent filmmakers, including Otto Preminger and Billy Wilder. After Hitchcock, as well as becoming an award winning film-maker in his own right, Bass went on to work with the likes of Stanley Kubrick, Martin Scorsese and some of his final work was for Stephen Spielberg and Schindler’s List. He also designed some of the most iconic corporate logos in North America, including the Bell System logo. He was responsible for the Minolta logo and the (visually similar) AT&T globe logo. He designed Continental Airlines' jet stream logo and United Airlines' 1974 tulip. He was even the man behind the Quaker Oats image and the Kleenex name writing. But it is his work with Hitchcock that most people know him as a name. 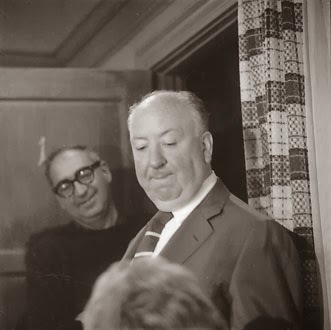 He collaborated closely with Hitchcock on a number of projects over a period of several years. Bass was the hand behind that red and black Vertigo poster in 1958. He also created the title sequences for Vertigo. Credit must also go to Bernard Herrmann’s haunting score, but Bass’ artistic direction and the odd synthesis of sensual Kim Novak close-ups and spirographic imagery (called Lissajous waves) which were contributed by artist John Whitney, a pioneer of computer arts and a long-time animator at UPA, a commercial animation studio well-known for their modern aesthetic and experimental techniques. The second title sequence that Bass created for Hitchcock was for North by Northwest in 1959. Here he played on the idea of intersections, gleaned from the “by” in the title and a recurrent theme throughout the film itself. The title sequence is split into three distinct parts. The first is entirely graphic, with the titles superimposed over the gridded background. In the second, the grid graphics dissolve into the windows of the building in Manhattan where the character Thornhill’s agency is based. The third brings us down to ground level, observing and the nameless crowds on the streets of New York. This progression from cold abstraction to perceived reality draws the audience into the plot of the film. Again Bernard Hermann’s big, climactic score gives it all a sense of increasing urgency, turning up the volume to match the march of the crowd. The final title sequence that Bass created for Hitchcock was for Psycho in 1960. There is little that hasn’t been said about this title sequence – it is known by all. 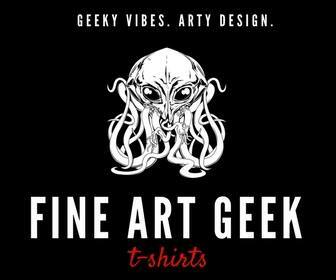 The minimalism of the approach belies the fact that it was created on a budget of $21,000, a lot at the time. But it is this minimalism that is the genius. 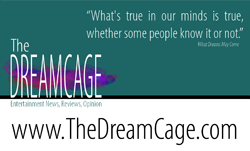 It doesn’t give the audience a lot to work with, which engages the imagination. 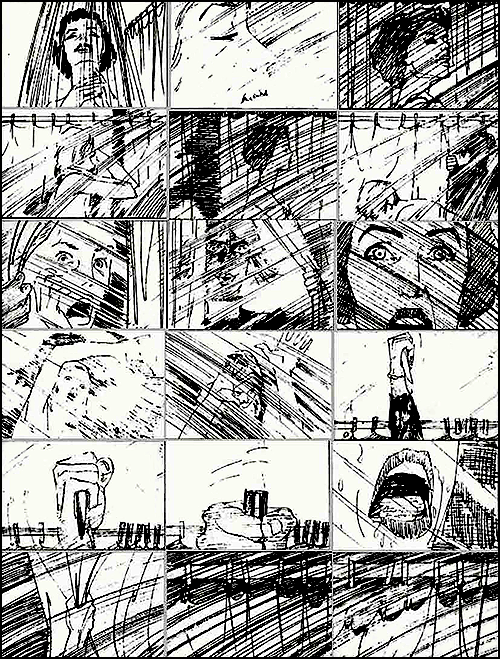 There is high contrast and extreme tension throughout the film. Likewise every object in the title sequence has a path from which it does not deviate, making full use of the straight line as the shortest distance between two points, the restriction adding to the atmosphere and making the title as streamlined as the film plot itself. With his minimal approach and Bernard Herrmann’s jagged score, Bass creates the parallel visual tension that tells the audience everything they need to know about the plot, without saying much of anything at all. He sets the tone by asking the viewer to read between the lines — quite literally. There is argument about whether Bass himself directed the spectacular “shower scene” from Psycho. 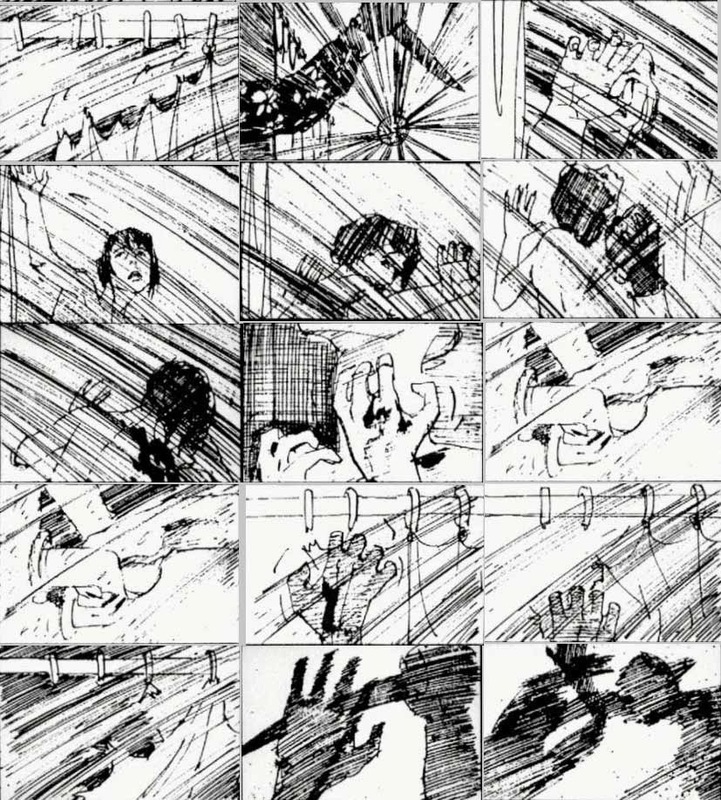 He definitely drew the storyboards containing all the salient points, even up to the close-up of the blood swirling in the plug hole, but it is argued that he did so only after much discussion with Hitchcock and, although Bass was there for the scene, Hitchcock directed it himself. This is a debate to which we will never know a true answer as Bass confirmed and then denied it and Hitchcock has always denied it although he admitted to Bass directing some unused scenes – in particular the Arbogast murder scene, which was later reshot by Hitchcock himself as he hated what Bass had produced. The word iconic is overused. 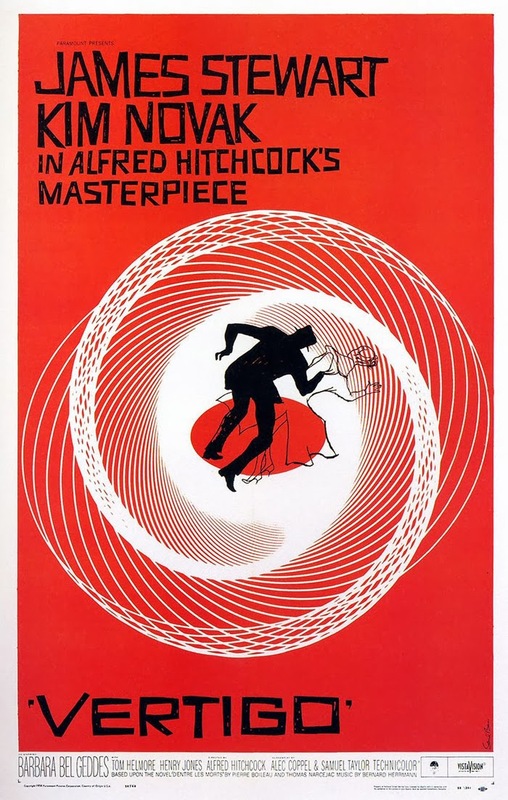 But I firmly believe that Saul Bass was an icon of American design at the time. And why did the graphic I did inspire all this? Any designer that has a font named after him must be worth investigating! Photo and poster from Design Museum, storyboard from 451.